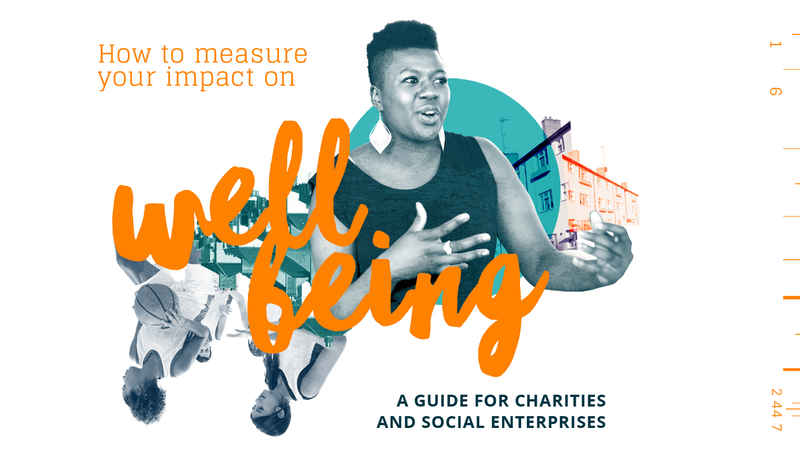 Our Measuring Wellbeing series is a mix of the provocative and the practical: discussion papers to explore new ideas and how-to guides to support you to measure wellbeing in your work. The Economic and Social Research Council (ESRC) and the Arts and Humanities Research Council (AHRC), in partnership with the Centre, are offering to fund one project up to £550,000 (100% fEC), of which the Research Councils will contribute 80% of the full economic costs. Learn more. How will the successful academic team work with the centre? 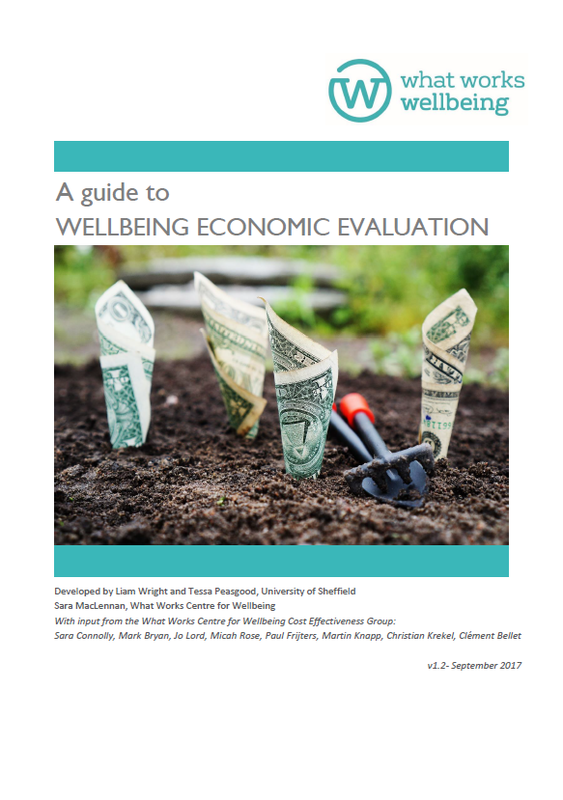 During proposal development: The What Works Centre for Wellbeing will be a part of the panel selecting the successful proposal. Therefore, as academic teams develop their proposals, we are unable to discuss the call with teams directly, due to potential conflict of interest. Any questions you have about the call can be shared with us directly, via email, and where possible and relevant, a public response will be provided through this FAQ page, which will be kept updated. We will also be keeping a register of interested academic that have a particular focus or specialism, that would be interested in joining a wider consortia. We will make this list available to interested academics to facilitate the building of diverse academic teams. If interested, please send an email to the above address. Being a part of the What Works Centre for Wellbeing: The successful team will be integrated to the What Works Centre for Wellbeing, they will be expected to represent the centre in certain fora and will be entitled to use the centre’s logo in work associated with this programme. The PI for this programme joining other PIs from the centre’s other evidence projects (6 ESRC funded Secondary Data Analysis Projects) on the centre’s Management Group. This is a group for sharing research approaches and findings, and working closely with the centre’s Advisory Panel to develop the centre’s evidence standards and methodological approaches. As this is a ‘what works centre’ project, the successful team should share a commitment to developing research that is focused on relevance and impact, with a keen interest in understanding the needs of and engaging with key policy and practice stakeholders. Ways of working during the research process: ESRC funding has been reserved for the centre to ensure capacity for direct support to this funding call. Upon the award, we will start to work directly with the academic team to establish joint timelines and ways of working for the duration of the programme. 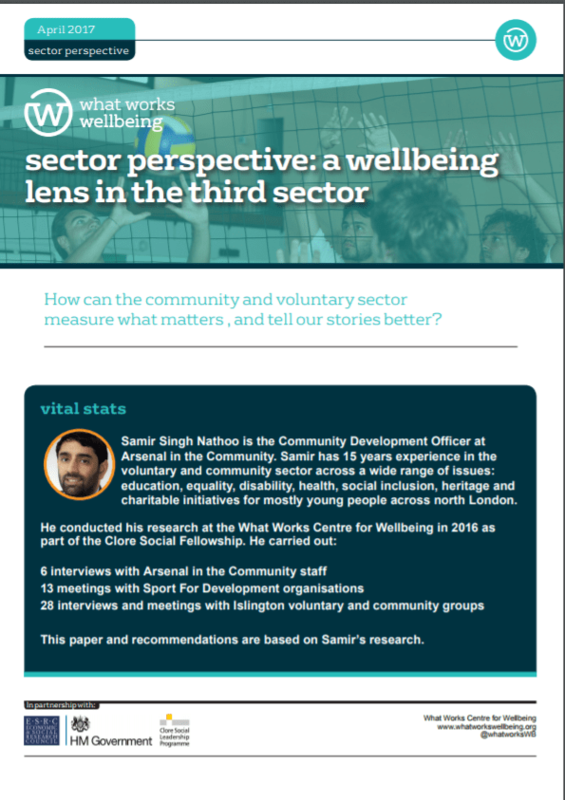 The centre’s role in the programme will include drawing in its experience in the wellbeing field and external network of partners and policy and practice audiences to help refine the research questions, approach and outputs. The centre will provide ongoing contributions to the research, as well as providing translation, dissemination, communications and implementation capacity to ensure the research is useful and accessible to appropriate audiences. The call notes they expect to fund one grant of up to £550,000. Is it worth considering putting together something which is considerably less than the possible total - or are you looking for a programme of work at around that cost? Only one proposal will be awarded, which will act as the main methods centre for the what works centre for wellbeing for the duration of the programme. As such, we are looking for the most comprehensive programme of work that addresses as many of our priority areas in as much detail as possible, given the funding envelope. We expect that this will be achieved through a consortia of academics, who have specialisms in different areas. As such, we encourage researchers interested in a specific aspect of work related to this call to identify other researchers who can complement their work and put forward a joint proposal. To facilitate this, the WWCW will be managing a register of interest, where you can submit your contact details and research areas. The list will be available on request from interested academics looking to build a consortia. Do we need to address all the topics and questions outlined in the bid? 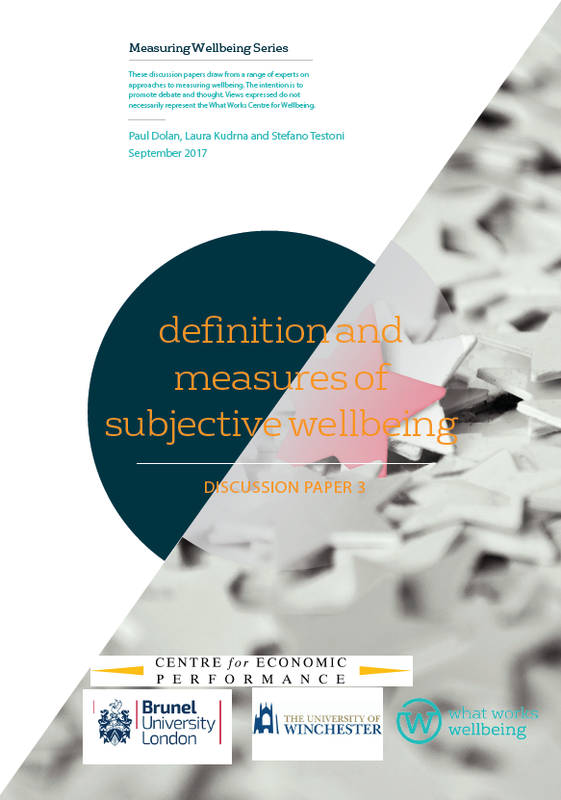 No, but we will prioritise proposals that are able to address the key areas we identified, specifically: the understanding and measurement of life satisfaction and its relationship to other measures of wellbeing, how to account for wellbeing inequalities, and how macro-level goals for wellbeing can be translated to apply across multiple jurisdictions and policy areas. 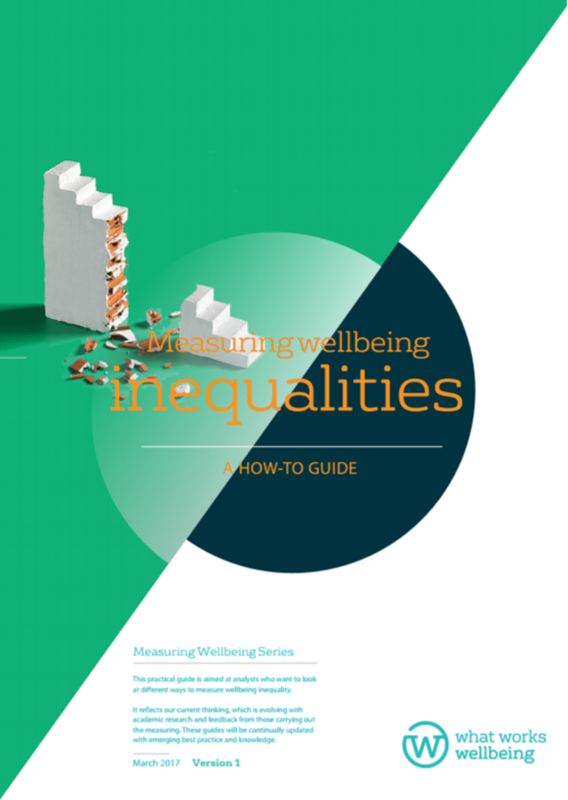 These topics have been identified based on the identified evidence gaps that are of most relevance to policy makers and practitioners seeking to implement an evidence informed wellbeing approach. 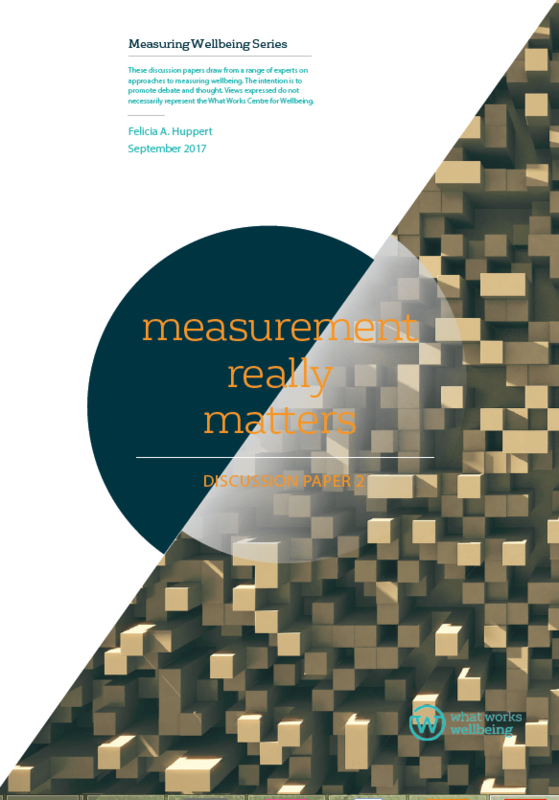 We will be looking for teams of researchers that have the appropriate expertise to move the complex and exciting science of wellbeing forward with respect to measurement and methods, and so the strongest proposals would explicitly build on the expertise of team members in particular areas, including in areas that are not listed in the call document. If you have a question to submit regarding this call, or would like to be included on the register of interested academics – please email Deborah Hardoon. 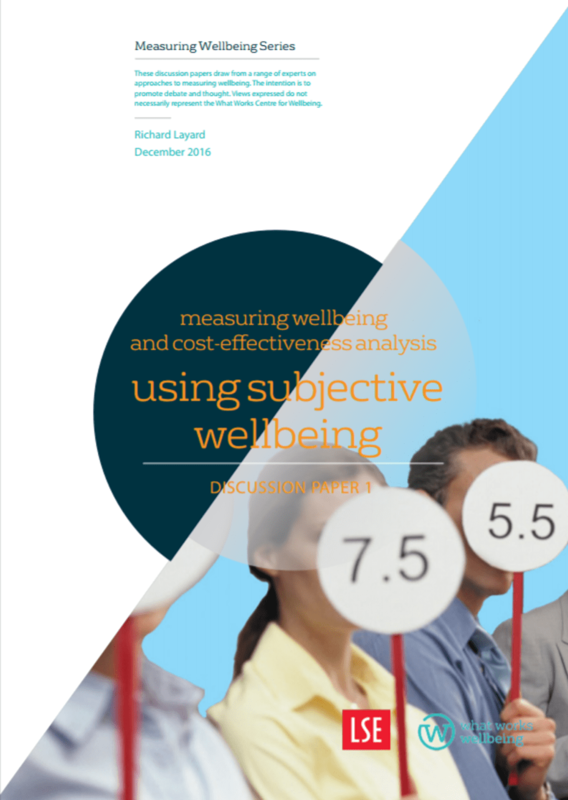 The discussion papers are written by key thinkers and do-ers we’ve invited from across a range of fields with interesting things to say about how we understand and measure wellbeing. Sometimes controversial, sometimes a fresh perspective on accepted wisdom, always thought-provoking. 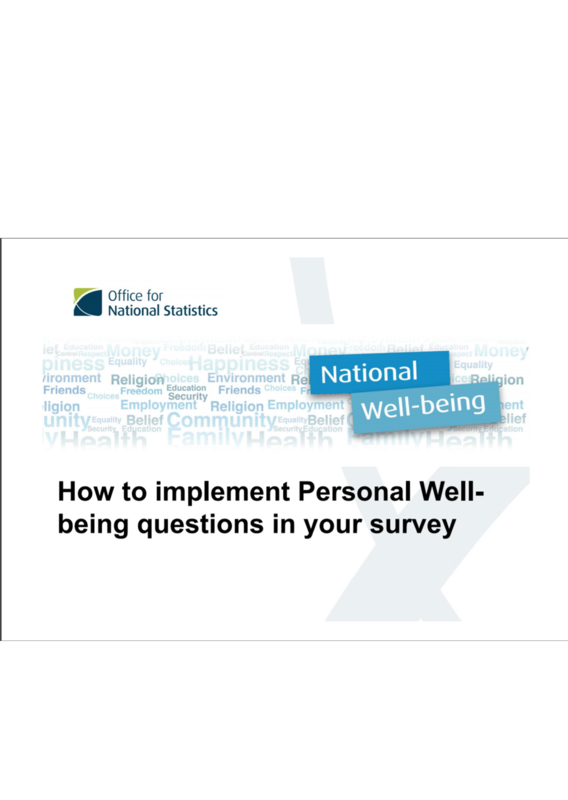 The how-to guides are practical guidance on collecting, analysing, interpreting and acting on wellbeing data. They’s written by the Centre in collaboration with a range of experts.